Fancy a coffee break? These cafes in HDB estates will feel right at home! Get away from the hustle and bustle of the city, and retreat into the peace and quiet of the HDB heartlands! Here are 6 cafes in HDB estates that are perfect for weekend brunches, an afternoon cuppa, or chilling out with a good book. Feast your eyes on some of the prettiest, cutest, and most Instagram-worthy latte art! The talented baristas at Chock Full Of Beans create colourful, frothy designs inspired by cartoons, comics, manga, toys, and more. They can also personalise your latte art according to your requests! Aside from visual delights, Chock Full Of Beans also serves up yummy café fare and desserts. Since its opening in 2014, Percolate has charmed folks with its chill vibes and carefully-crafted menu of beverages, light bites, and desserts. Pick your caffeine fix from a fine selection of specialty coffees and teas. Regulars also swear by Percolate’s croissants, buttery and toasted to perfection! Inspired by the Mad Hatter from Alice in Wonderland, Hatter Street Bakehouse and Café takes you and your senses on a sweet adventure! Dessert junkies will be blown away their colourful menu of delectable cakes, ice-cream, and waffles. The folks at Hatter Street also take custom orders, so if you seeking a one-of-a-kind cake for a special occasion, do have a chat with them! Your eyes aren’t playing tricks on you – those waffles are indeed blue and red! From artisanal ice-cream and waffles, to mouthwatering pastas and burgers, The Workbench Bistro is a powerhouse in both sweet and savoury departments. The bistro is often full during peak hours, so call in for a reservation to avoid the long wait! Walking around the Telok Blangah neighbourhood, it’s hard to miss the shopfront of Old Habits Boutique & Café! Indulge in a wide selection of mains, pastas, sandwiches, and desserts, whilst soaking in the cool, eclectic vibes that Old Habits offers. The vintage decor and old-school knick knacks are for sale too – approach any of their friendly staff for details. If you’re serious about coffee, The Tiny Roaster is where you need to be! The owners are passionate about the art of roasting, and sharing the love for brewed coffee with fellow coffee enthusiasts. On top of serving exquisite specialty coffees daily, The Tiny Roaster also conducts public cupping sessions in their premises. Attendance is free – check their social media for the latest dates! 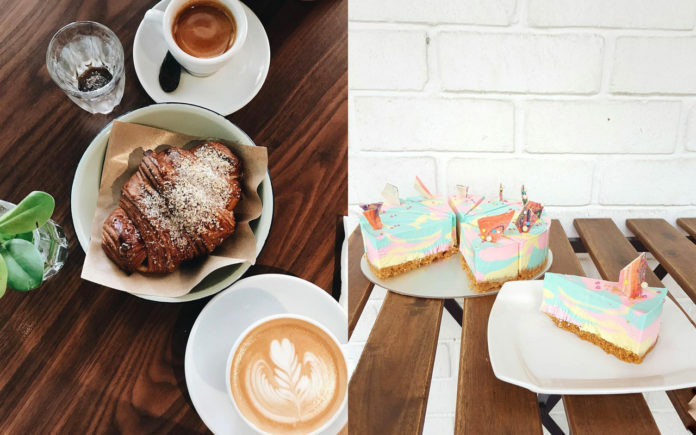 With so many amazing cafes all across Singapore, serving up a variety of cuisines and treats, it’s hard to pick a favourite! But these cafes in HDB estates are proof that you don’t have to venture out to town, to find the flavours that you’ll feel right at home with. What are your favourite hangouts in the HDB heartlands? Leave us a comment and tell us where we should visit next! On the lookout for great food? There’s more to see in our Food category – check it out! Next articleHalloween Ready: These Pets Have The Best Costumes!